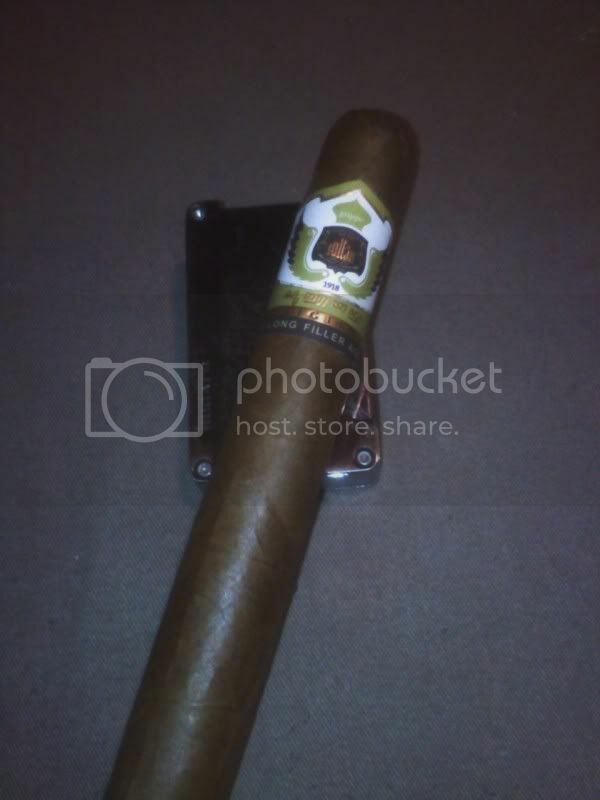 This hefty Churchill comes courtesy of Yan, Ferry, Shuckins @ BOTL.org, and Sultan Cigars. 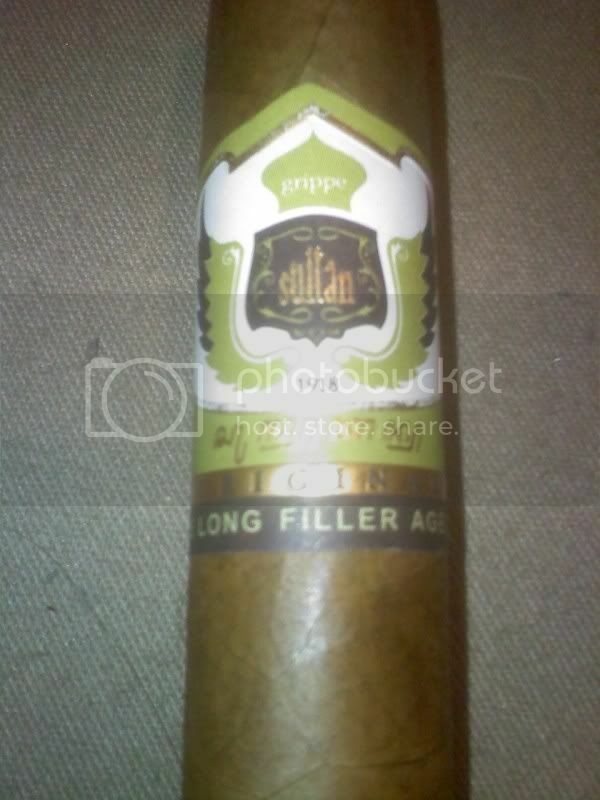 The stick features a very oily, light brown wrapper, with a slight green tone to it, that I have not seen before. It is very oily for a lighter colored wrapper which is interesting. It features tobacco solely from the Kingdom of Java (called Besuki leaf) There are visible veins, but none of them are tangible, and the stick is very smooth feeling overall. The pack is very dense... this is a very firm cigar. The seams are tight and smooth as well. The cap looks great, almost too great! The light was very easy, and even, using a single torch flame. The initial draws are a little tight. We'll see if it opens up some. Smoke production is light, but not bad. Flavors are a mild tobacco, and a slight cream. The finish leaves a slight tingling sensation on the tongue. Not a burn like pepper, but more a slightly numbing tingle. Very nice mouthfeel, despite not producing much smoke. 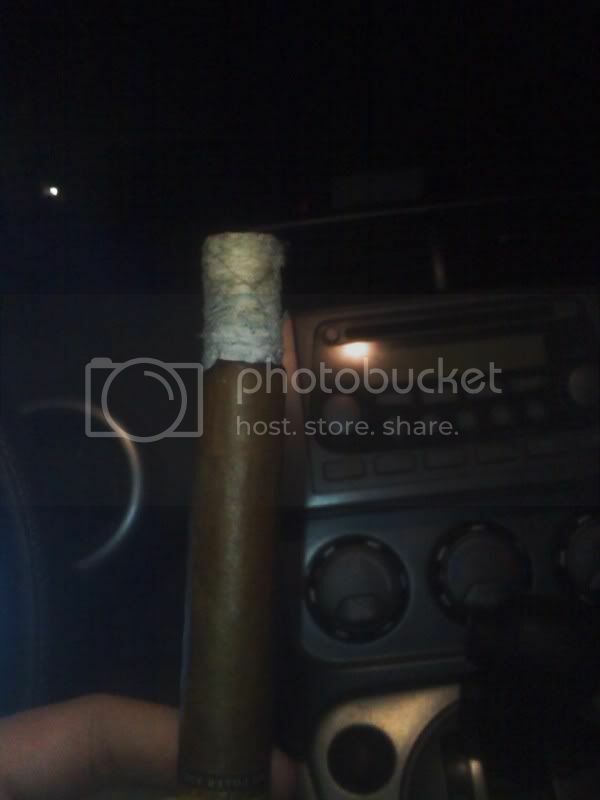 Ash is very tight, and a beautiful, bright white color. Burn line is razor sharp. Getting a little way into the second third, the flavors are getting richer, giving wood fairly heavily, as well as the smooth cinnamon. Noticing around the half way point that the ash is getting a little flaky as it falls, but remains very dense and basically a solid block while still attached. It's a very attractive bright white ash. Burn got a little wavy for a few draws, but has corrected itself, and is now razor sharp again. In the last third the flavors are getting woody again, with a continuing cream flavor and feel. There is a light pepper feel coming on as well, which is nice from a milder stick like this. Ended at 2:55 for a total burn time of 2 hours 4 minutes, which is basically ideal time for a Churchill in my opinion. I loved it personally, but as others have said, the draw could have been looser. I was lucky to have one with a firm but still well performing draw. 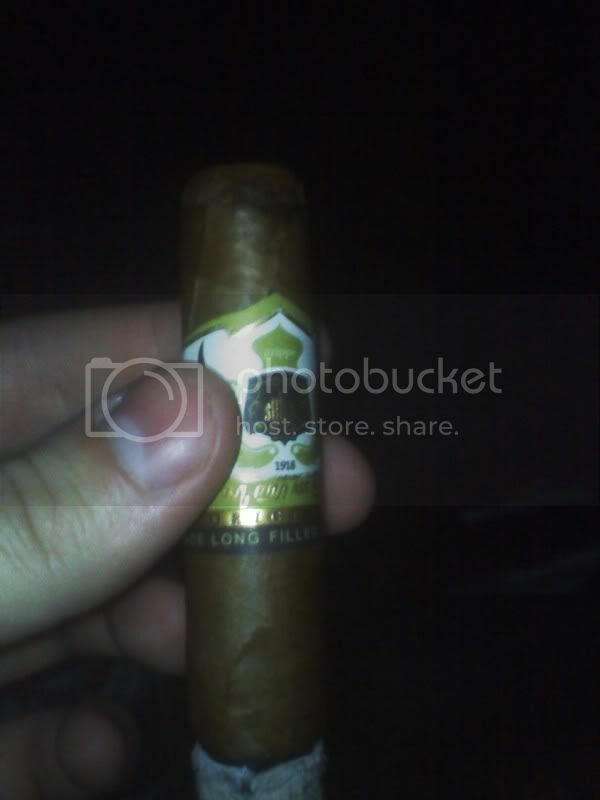 This is a great mild smoke, with interesting flavors and perfect construction. 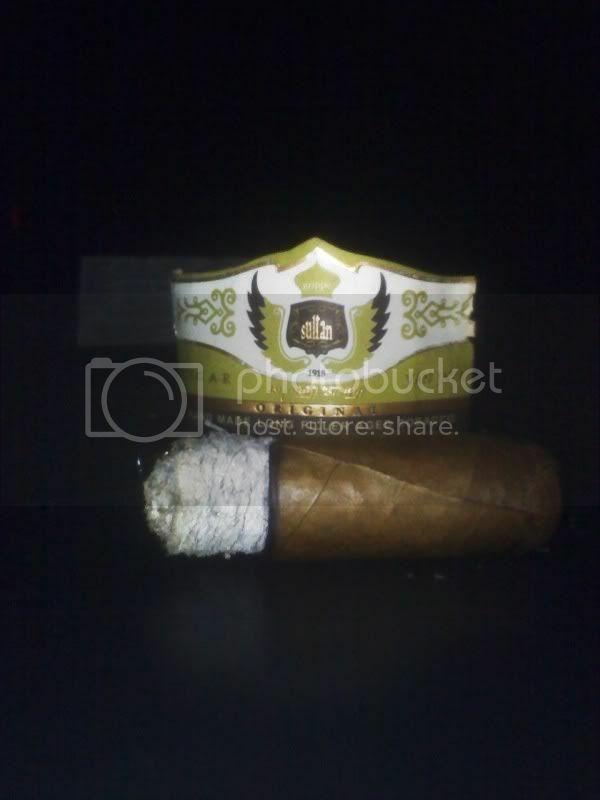 Thanks to Shuckins and Yan for letting me try this new cigar and share my thoughts!